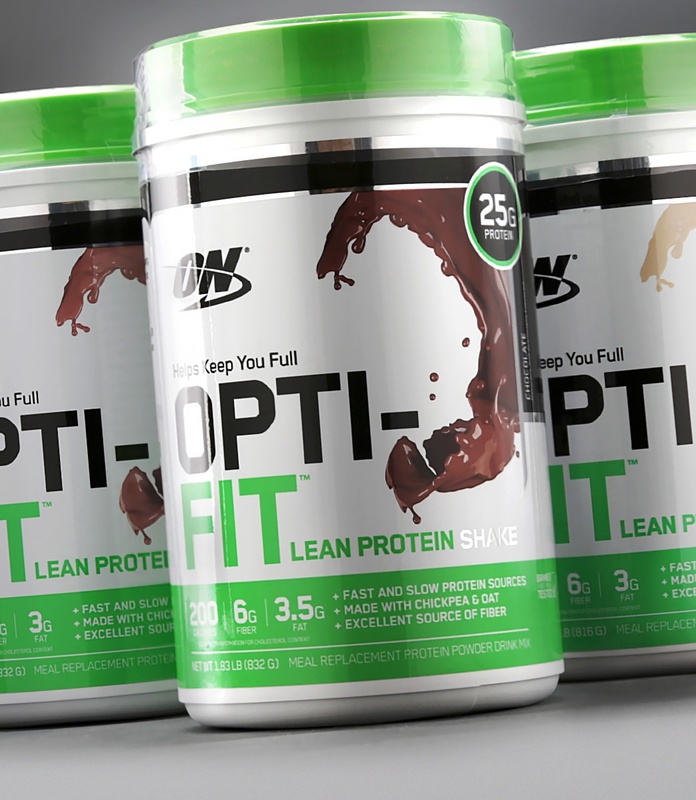 Opti-Fit Lean Protein Shakes provide fast and slowly digesting proteins in a powdered meal replacement product that mixes easily, tastes great and contains 6 grams of fiber to promote a feeling of fullness that can help you resist snacking temptations. As a meal replacement, add 2 scoops of OPTI-FIT Lean Protein Shake to a glass, shaker cup, or blender filled with 10-12 fl oz of cold water or unsweetened almond milk. Then stir, shake or blend for 20-30 seconds or until powder is dissolved.